Welcome to J.R., Inc. where we offer all the top brands of educational, office, and library furniture at the best prices. As one of the largest school and office furniture distributing companies in Texas our focus is on providing you top quality furniture at unbelievable prices. We have offices, showrooms, and warehouses in three locations including Converse, Houston, and Weslaco. We take pride in our outstanding customer service and our sales team will assist you with every step of the purchasing process. Our company has served the needs of educators for over forty-five years. 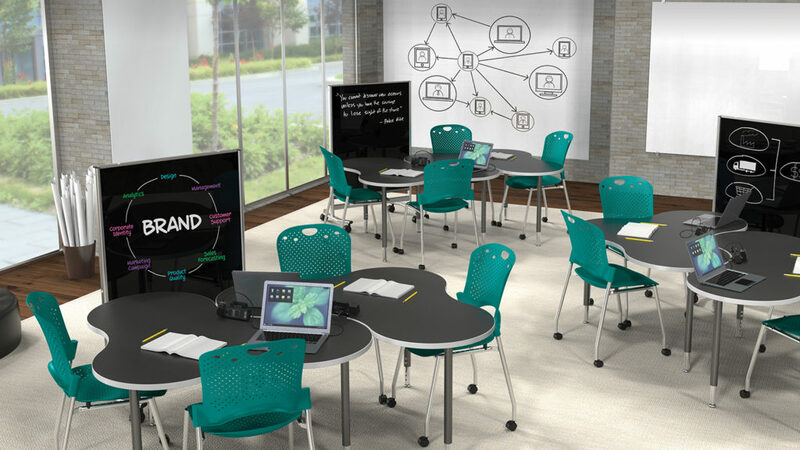 We tailor our product line to meet real classroom needs and offer everything from activity rugs to tablet sync stations. We are also the exclusive sales rep in South Texas for the Virco classroom furniture. When we look at a school, we see an organization that provides for the educational, social, and physical future of our youth. We are honored to work with educators and administrators by providing discount priced, durable school furniture. Our sales team works with you to design a space that meets your needs and your budget. Our dedicated staff will be there to guide you through the process right up to delivery and installation.